It’s been just over a month now since I released my first Alexa skill into the store (FizzBuzzBongo). It wasn’t really a serious skill – just a bit of fun (albeit with a database and interactivity) to test out the skill build and release process and make my findings (and source code) available on this blog. Given that it’s been available for a month now – I thought it would be a useful point at which to take a look at whether anyone has used it, and if there were any performance issues. 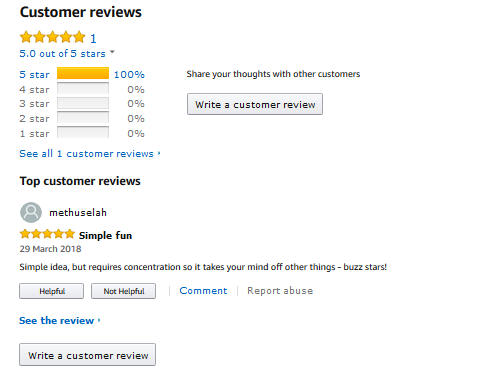 Firstly – the great news – someone has been generous enough to leave me a 5 star review. I know it’s not really a 5 star skill – but it does what it says on the tin, so it’s nice to have some (preferably positive) feedback. 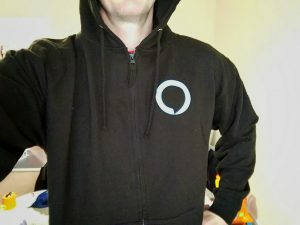 Secondly – even better news – I received my free hoodie from Amazon UK as part of their March promotion! They provide free incentives every month for devs who release skills. You need to fill in a form to apply – more details here. I filled it in, but then forgot about it. There’s no guarantee you will get anything and wasn’t sure if my little skill would qualify. 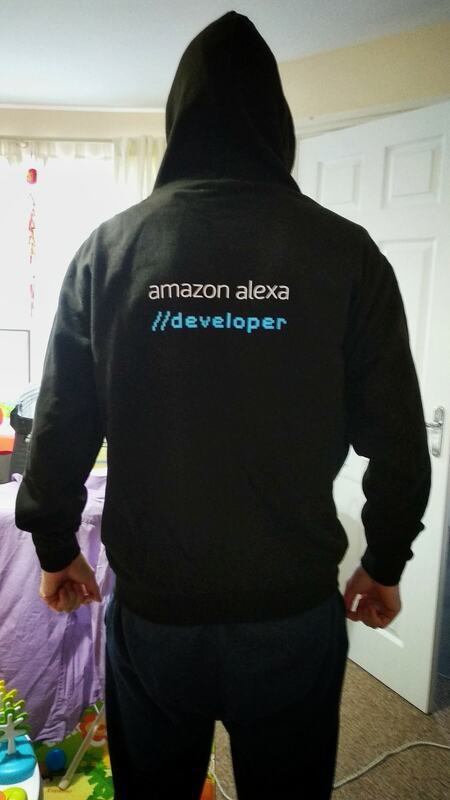 Then a month later out of the blue an Alexa hoodie turned up in the post. 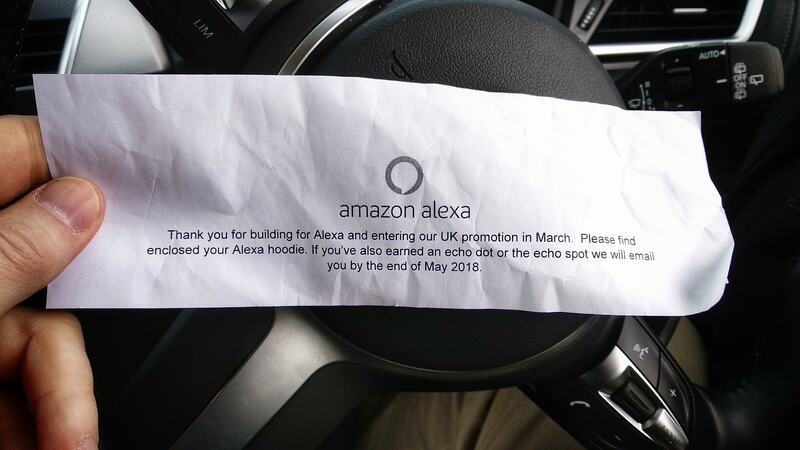 I’m almost 100% sure I wont get a free Echo Dot though – despite what the enclosed slip suggested, given I’ve only had 24 users in the last month (and I think you need 100 users in the first 30 days to quality for that offer). 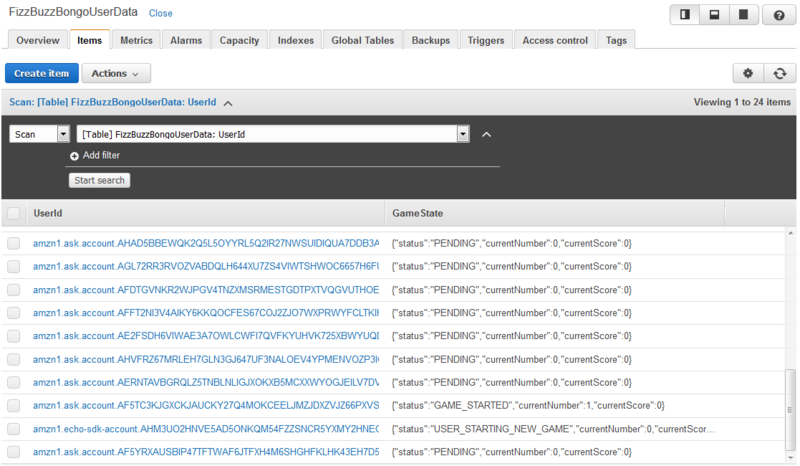 There are 24 user sessions visible in the DynamoDB table. I have no TTL specified – so that’s the entire number of users since the app was deployed (screenshot below). 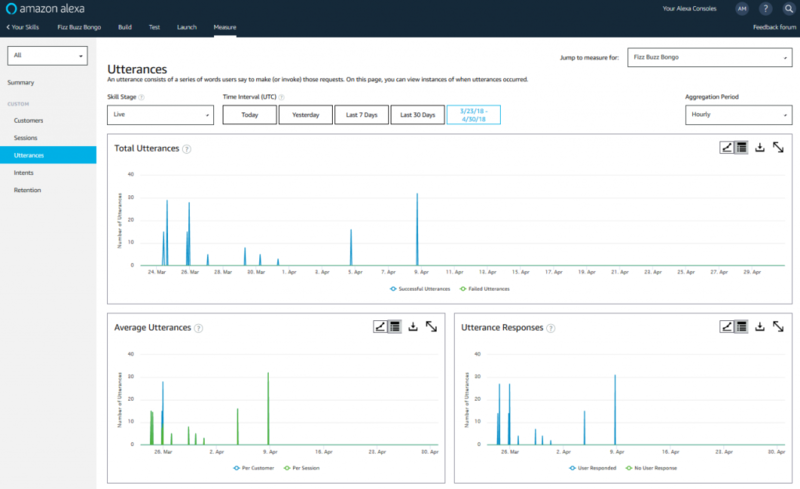 As you can see from the built in DynamoDB monotoring – usage has been non existent in the last 2 weeks. 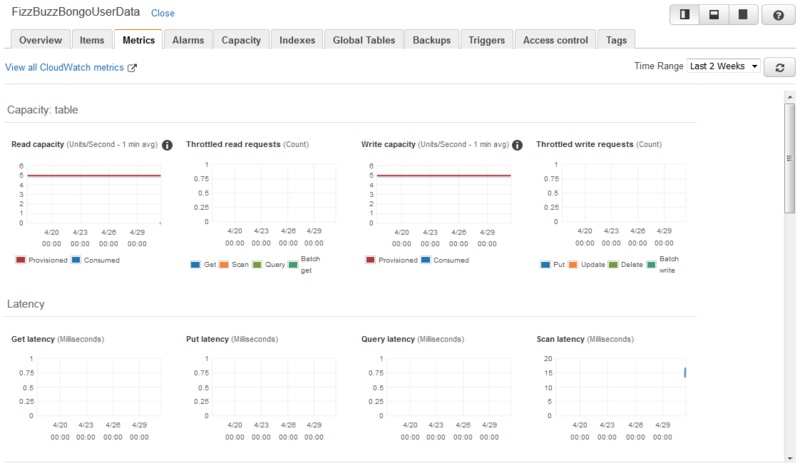 I had initially set the Read/Write capacity to 5 on the database configuration (defined in Terraform). This was wildly optimist as it turns out, and is costing $2.91/month. So the first thing I’ve done is drop the capacity to 1 for read & write. This gives a much more reasonable charge of $0.59 / month. 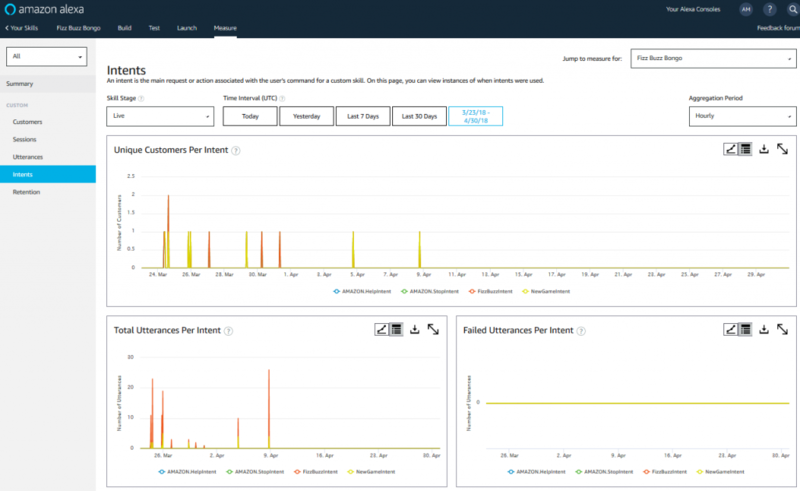 More detailed monitoring of skill usage is available in the Amazon Developer console. 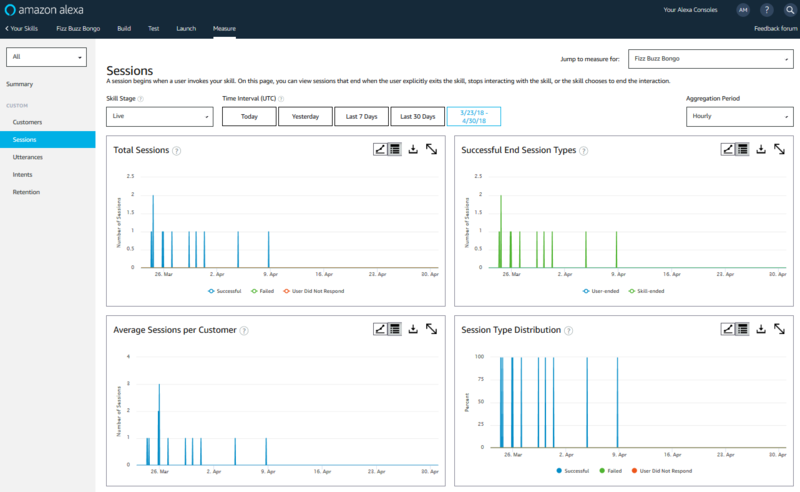 The graphs below show the kind of monitoring data that is available out of the box with an Alexa Skill. I haven’t delved into these graphs in any great detail. I think it’s pretty obvious that they show there was some small amount of activity when the skill was first published, but it tailed off to nothing pretty quickly (and has stayed there). On the plus side when it was used it appears to have worked well. It’s interesting to see what kind of activity you get – as I had no idea when I released it what the uptake would be like. I’m not really surprised for a skill like this – as it’s just a technology demonstrator. It will be interesting to monitor usage for my next skill, which will be one that I’ll be keen to actually get people to use, and invest more effort into marketing it.